Vladimir Nenashev of Mosaic Coffee in Russia has won the 2018 World Coffee Roasting Championship (WCRC), held at Sigep in Rimini, Italy, from 19 to 23 January. 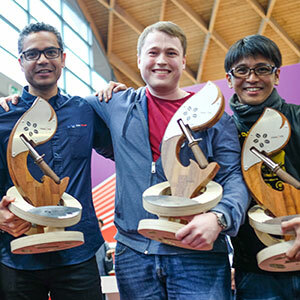 Yoshiyuki Nakamura of Mamepolepole in Japan placed second, and Veda Viraswami of Le Café Alain Ducasse in France placed third. “I started roasting five years ago and just loved it,” Vladimir’s translator told WCRC presenters. 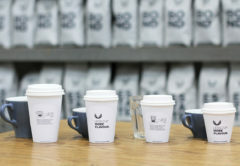 Ben Toovey of Genovese Coffee placed fourth in the 2018 WCRC. 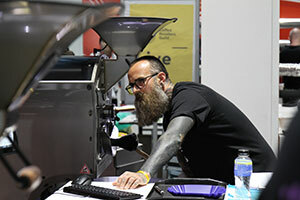 Australia’s Ben Toovey of Genovese Coffee placed fourth in the competition. “Fourth place, by just a handful of points. I scored higher than first place for the taste scores, but lost some points by not estimating accurately enough the end colour of the ground coffee after roasting That’s how the game goes,” Ben posted to Instagram. 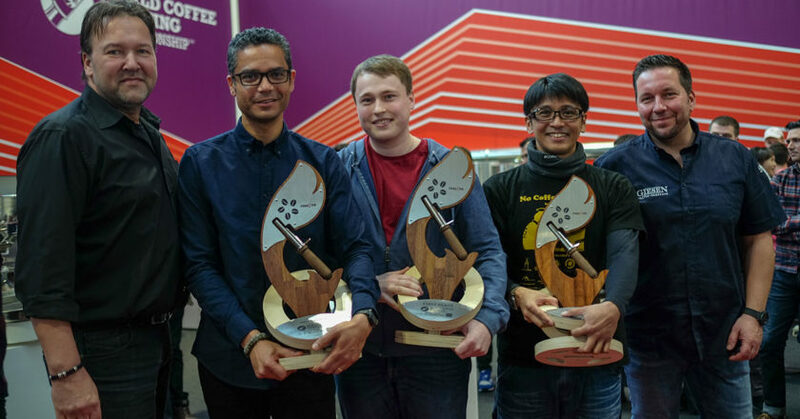 Veda Viraswami, Vladimir Nenashev, and Yoshiyuki Nakamura holding their 2018 WCRC trophies. 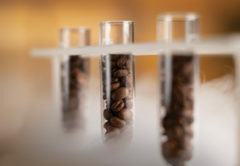 The WCRC is a three-stage event, where competitors are evaluated on their performance evaluating the quality of green coffee, developing a roasting profile that best accentuates the desirable characteristics of that coffee, and on the ultimate cup quality of coffees roasted. All competitors roasted the same green coffee, and used the same equipment, including Cropster software and Giesen roasters. The 2018 WCRC was delayed to January 2019 after plans to hold the competition in Dubaiat GulfHost in September 2018 were cancelled. 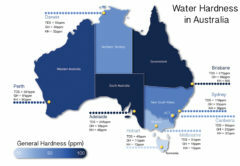 The 2019 WCRC is slated to take place near the end of the year. 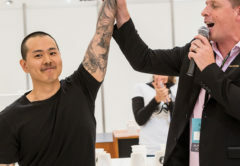 The 2019 AMC Australian Roasting Championship will be held at the Melbourne International Coffee Expo from 7 to 9 February, where Ben will defend his Australian Roasting Championship title against Daniel Shadbolt of Veneziano Coffee Roasters, Matthew Troughton of Grace & Taylor Coffee Company, Willy Goh of Wolff Coffee Roasters, Takumi Nakamoto of Deluca Coffee, Nick Raven of Ravens Coffee, and Pat Connolly of Genovese Coffee.